After six years of working as a remote support tech for a managed service provider, Jack Wallen threw in the towel. 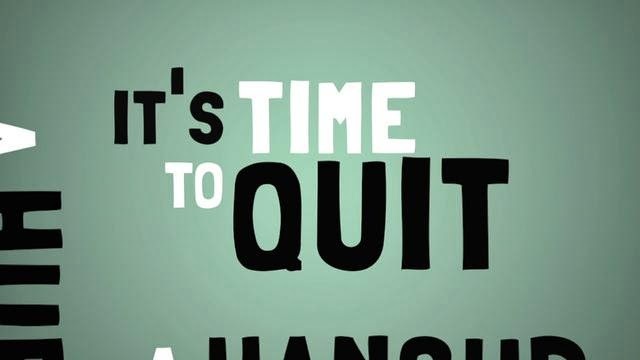 If you've ever been tempted to quit IT, his reasons may sound familiar. Some people assume that the world of PC support is a glamorous, Sheila E sort of life. After all, it's technology, geeking out all day long. What's not to love? For what seemed like an eternity, I served as a support tech for a managed service provider (MSP). Starting the job, I had no idea what I was getting into. As the saying goes, "If I knew then what I know now…." Would I have stepped foot into the world of remote support? It's hard to say. What is not so hard to say is why I eventually gave up being a support technician. In fact, I can give you 10 reasons why. This is the number one reason why I left. If you've never experienced the levels of stress associated with managed service providers, you're in for a real treat. You have (possibly) hundreds of clients calling in all day to report their computers "aren't working." The queue lines up with people who can't get their work done because "you haven't fixed their problems." It's disaster management and triage all day and it never lets up. The pay for an MSP engineer is not what you'd think it would be. I nearly exploded with laughter every time I heard a client say, "That's why you get paid the big bucks." I wanted to say, "You probably get paid more than I." But I refrained. Every time. The truth is, the pay just wasn't enough to offset the high levels of stress and frustration. It made more sense to move on. Nearly half of what I did all day was fix printers. That's how I came to the conclusion that the very foundation of printing is broken. I never signed up to be a printer technician and would feel my blood boil every time I saw a support request come through that said, "My printers stopped printing!" I hate to be one of "those people," even momentarily. Still, the levels of ignorance I dealt with on a daily basis were staggering. I was always professional, and I tried to be patient and kind. But fielding the same questions over and over — things as basic as, "What's a web browser?" — eventually wore me down. As a contract company, MSPs need their engineers working at 150 percent all day, every day, and each second must be accounted for and billed. So it's not surprising that they tend to micromanage the staff. Some people can handle this management technique. But it drove me mad to have someone breathing down my neck all day. There was also an avalanche of paperwork we had to do to ensure that we'd be covered in case of a disaster. The world of PC support (especially of the remote flavor) can be boiled down to this: You have way too much to do, not enough time to do it, and not enough help to get it done. And as that workload piles up, you have angry clients who can't get their own work done. To accommodate this, you have to work at a pace you can't maintain for any length of time (which leads us back to #1: stress). I've always been upfront about my opinion that Microsoft Windows is the reason tech support is so busy. I mentioned that half of my job was fixing printers. The other half seemed to be malware and viruses. Every day I fought the urge to blurt out, "If you used Linux or Mac, you wouldn't have these problems and you'd save a ton of money!" But I refrained. Every time. If you've experienced the stability and reliability of "the other platforms," you get this. You don't want to spend your day supporting Windows. You'd rather spend a portion of your day training users on another platform and watching them work happily ever after. I am a multitasker. I often have two to three major tasks running at once. I'll be writing a tech piece, a work of fiction, and getting intense on social media. But the problem with working directly in IT is that you get your head buried in something you've been told is critical... only to be yanked from that task to do something like fix a printer for a CEO. You come back to the original task(s) and find your flow completely ruined and you're back to square one. This happens more often than not, and you lose a lot of work as a result. It can be tricky when your work intersects with something you're passionate about. For me, technology is one such passion. But having to deal with tech issues (often caused by user-error or platform inadequacies) day in and day out was starting to ruin it. I even began to hate it. That caused serious problems for me, as I had to go home and toil away in front of a computer to create works of fiction, which is something that usually brings me great joy. It wasn't until I left the support industry that I regained my love for technology. There is no avoiding this. You will burn out. The pace and stress tend to remain neck and neck in the race to subvert your sanity. Working support will eventually take you down. And (at least for me), you'll find yourself carrying that stress home with you. You'll go through periods where that stress doesn't seem to want to wash down the drain and it turns you inside out. For me, that was too big a price to pay. Not every company and not every person is cut from the same cloth. There are those out there who will gladly tolerate what, in the end, sent me packing. I am also not pointing any fingers at any one company. Ultimately, the killing blow was my own lack of resilience and my inability to keep up with the choking pace of the managed service provider industry.